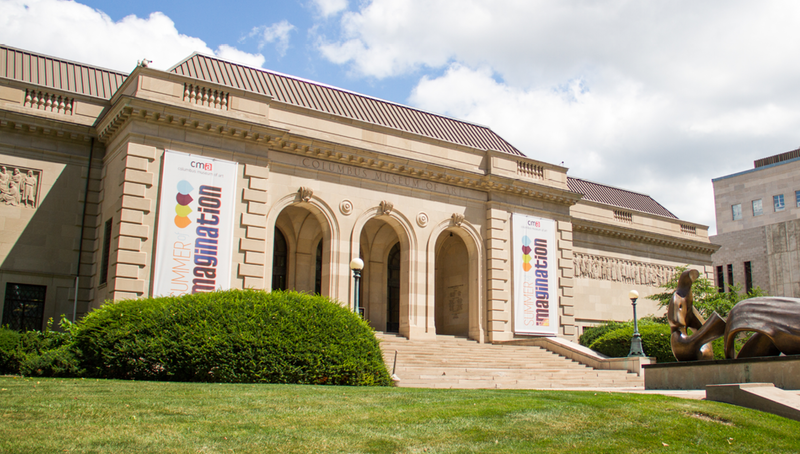 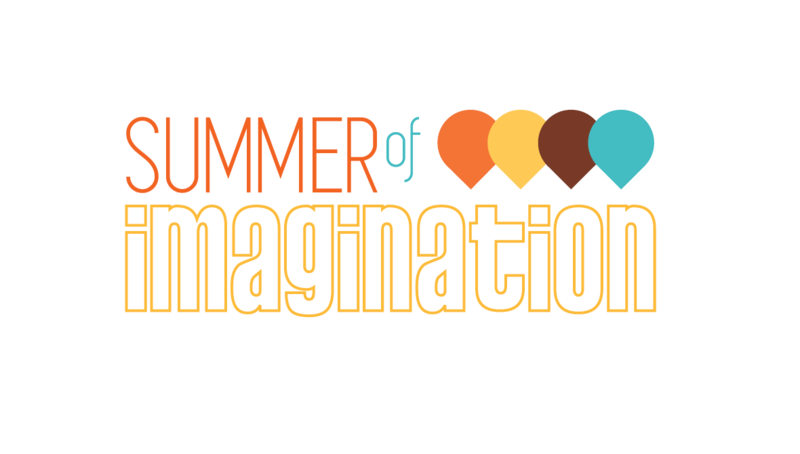 Origo recently aided in the collaboration between five of the leading educational institutions of Columbus to launch the "Summer of Imagination". 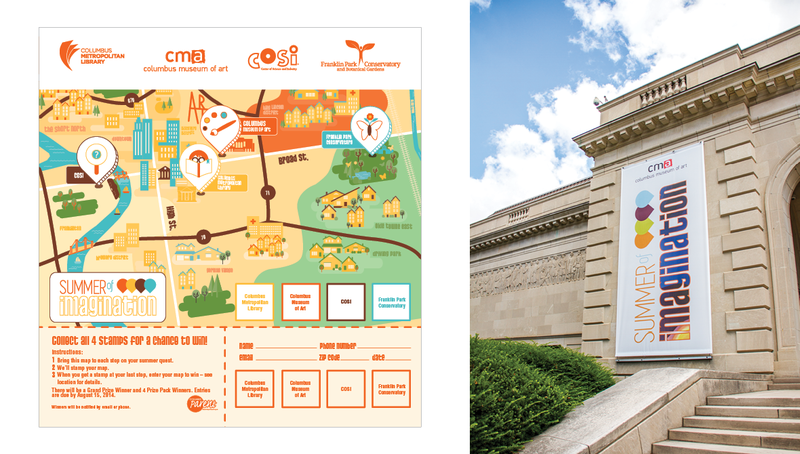 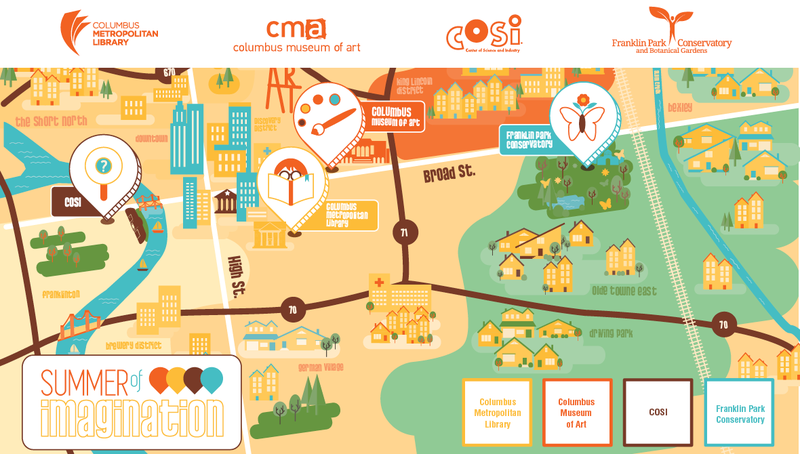 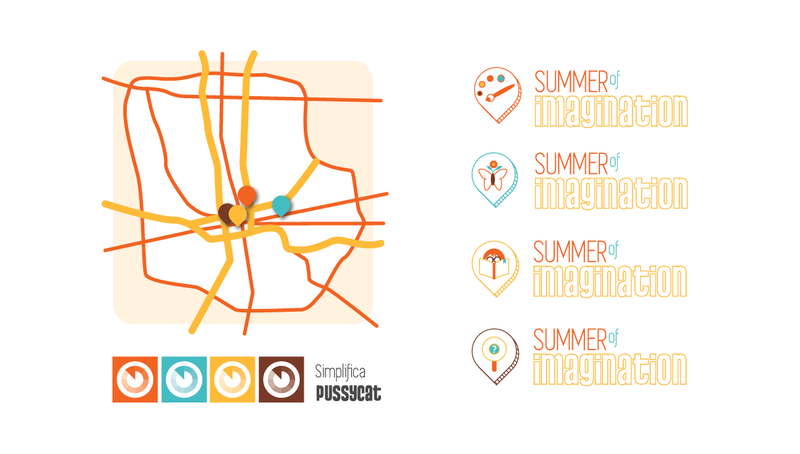 In a partnership between Columbus Museum of Art, COSI, Franklin Park Conservatory and Columbus Metropolitan Library, the group teamed up with Origo to create the branding strategy for Summer of Imagination, promoting themes of imagination, adventure, exploration and fun. 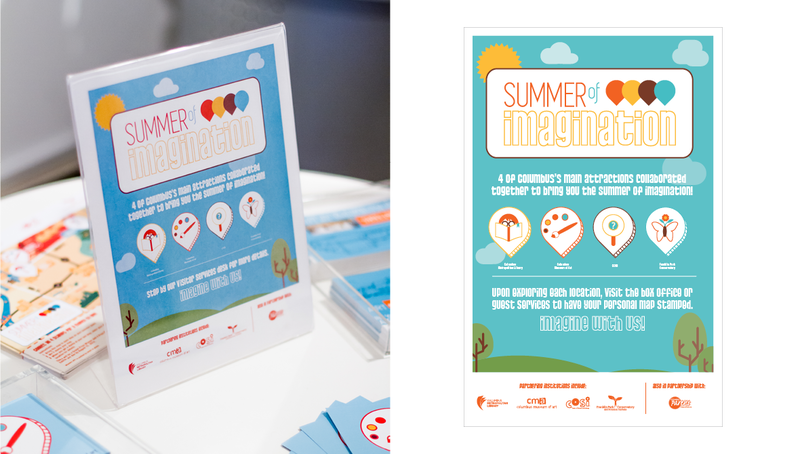 We also created print ads and a map that families could stamp at each location with the chance to win a prize, driving participation and awareness.